*Click on product image or name for more info. TwinLuxe 'Fine Shaving Instruments' are designed by the exterior designer of the Rolls-Royce Phantom family of cars and manufactured with today’s cutting edge technology for the ultimate in comfort, performance, and distinctive aesthetics. The end result: transforming daily grooming into a luxurious ritual. The TwinLuxe Razor is available in a selection of unique materials and coatings, compatible with Fusion™ blades by Gillette®. 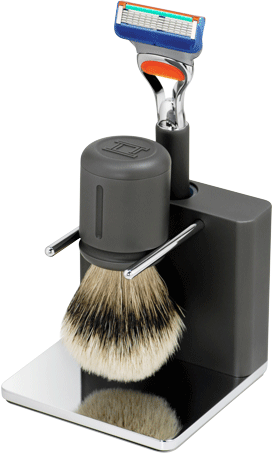 Held in hand, one can feel the solid precision and generous heft of the brush and razor. 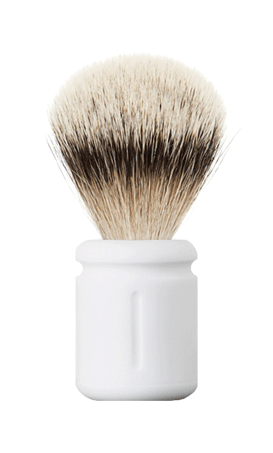 The TwinLuxe Shave Brush, paired with natural silvertip badger hair, effortlessly lifts the beard and gently exfoliates the skin to achieve the closest shave possible. Our badger fur, carefully sorted, washed, and dressed in Germany using traditional and time honored hand processes, is the finest, softest, and most flexible natural bristle that retains water like a sponge. < Click any shave set picture to view its 360° virtual tour and more details. Read more about the exquisite TwinLuxe Design and Craftsmanship. For best results, pair these fine instruments with TwinLuxe 'Shaving Skincare'. 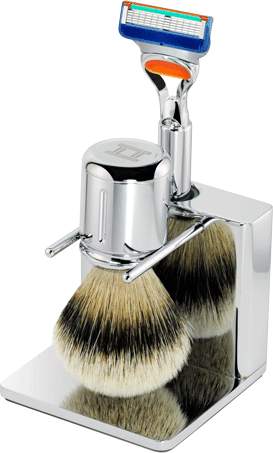 *TwinLuxe is independent of and has no affiliation with the company Gillette®. 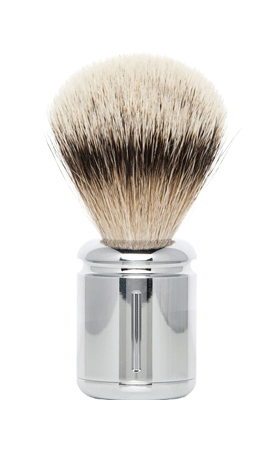 TwinLuxe luxury shave brushes are designed by world renowned designer Marek Djordjevic, whose works include exterior designs of the Rolls-Royce Phantom family of cars. 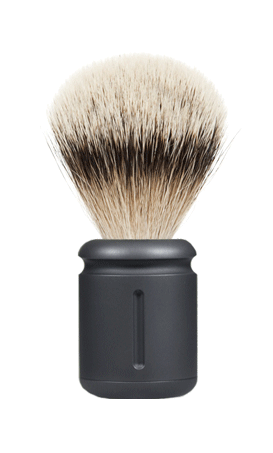 Paired with natural silvertip badger hair, the TwinLuxe Shave Brush is a wet shaving essential and effortlessly lifts the beard and gently exfoliates the skin to achieve the closest shave possible. Perfect for wetshavers and lathering up shaving creams and soaps, and perfect to use for applying brushless shaving creams and gels. Our silvertip badger fur, carefully sorted, washed, and dressed in Germany using traditional and time honored hand processes, is the finest, softest, and most flexible natural bristle that retains water like a sponge. 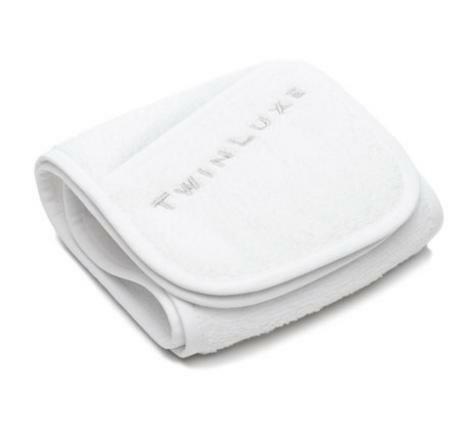 The TwinLuxe Shave Towel is made from eco-friendly cotton found in southern Turkey near the Aegean Sea. Grown, harvested, and manufactured without harsh chemicals and pesticides, the shaving towel is made from one of the most natural cottons in the world. The end result is a super-soft and plush micro-cotton towel which feels great against your skin. Each TwinLuxe shave set is presented in a walnut wood decorative 7" cube box. 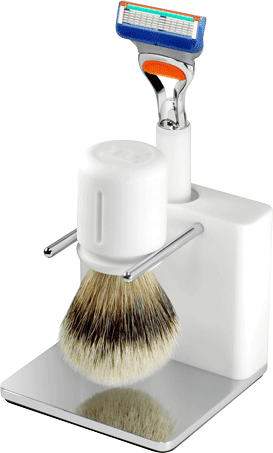 With its modern and sleek design, the TwinLuxe shave set box can also be used as a desktop accessory. It also features a pull-out drawer where inside is a complimentary TwinLuxe gift.